According to the Korean blog post, the V40 will have a 6.4-inch screen — up from 6 inches on the V30. We don't get a good look at the display in the video (below) but previously leaked images have shown that a notch will be present, thankfully with the ability to be hidden. 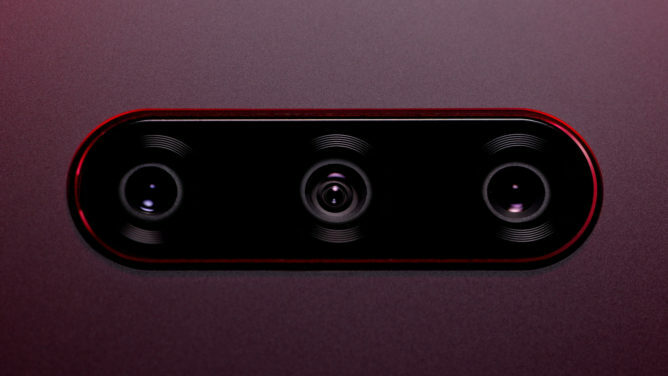 The video focuses heavily on the five cameras — three on the rear and two on the front — but without giving away any specifics. We can expect the front cameras to provide some sort of improved face unlock feature. Perhaps the only other interesting tidbit from the blog post is the three colors that will be available. They are New Platinum Gray, Carmine Red, and Moroccan Blue — all of which sound delightful. 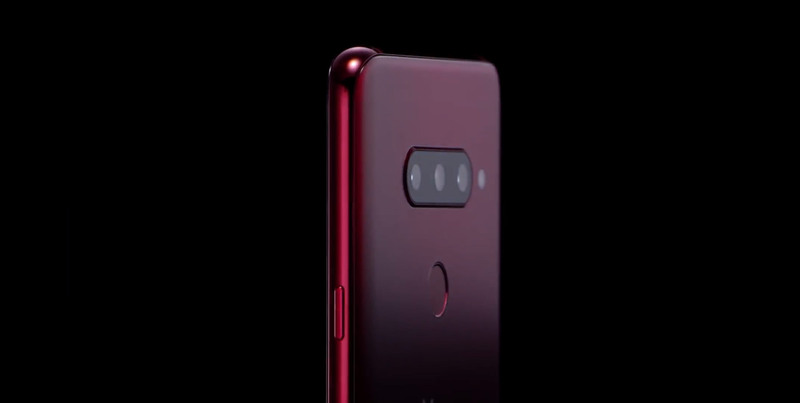 We only really see the red one with any clarity in the video, so we'll have to wait until October 3rd to get a good look at the others and learn more about LG's latest flagship. LG has released more information, this time with a press release coming from its global newsroom — finally giving us an English source (the link below has been updated). The company focuses on its design philosophy, and specifically the material choice for the phone's body. In building the V40, it focused on creating a pleasant feel when the device is held in-hand. To achieve this grip, the designers used an in-house technique that it trademarked as Silky Blast. Microscopic pits are etched into the rear housing, which is made of glass. For the front, the manufacturer is simply sharing that all sensors will be hidden; only the camera and speaker will be noticeable. The display will be half an inch larger than the V30, but the phone will retain the same width. Bezels will be nearly nonexistent, which matches the renders we’ve seen. The company also posted a couple new images which frankly don’t show anything new except a few buttons.